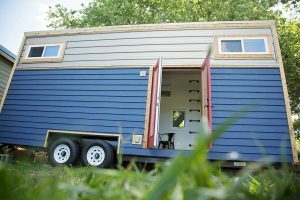 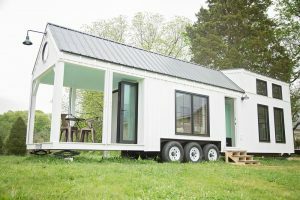 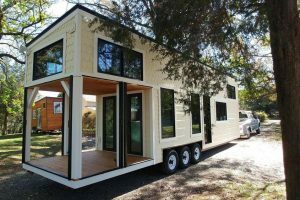 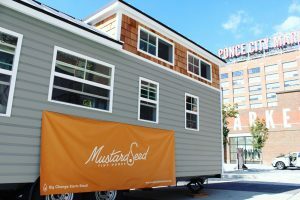 The Roost 36 is a fantastic tiny house built by Perch & Nest. 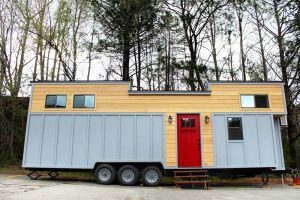 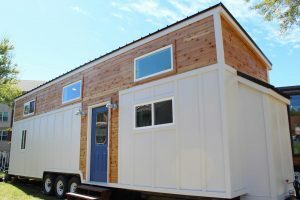 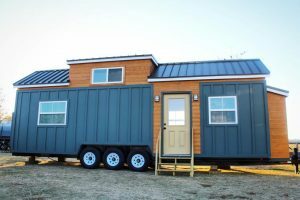 The tiny house features two bedroom lofts and a large deck made from 100% recycled materials. 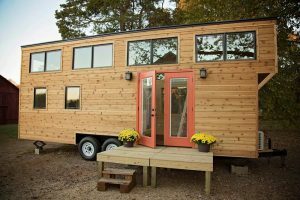 The glass entry wall and retractable screens help blend the house and deck into one large living area. 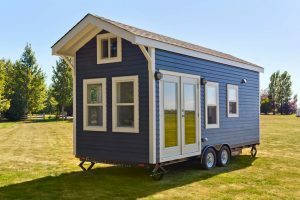 For more information about this tiny home contact Perch & Nest. 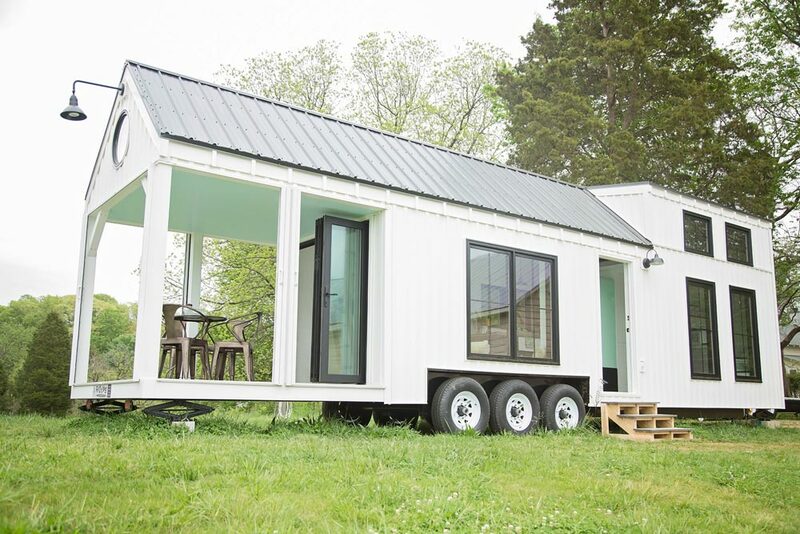 More tiny houses from Perch & Nest: No. 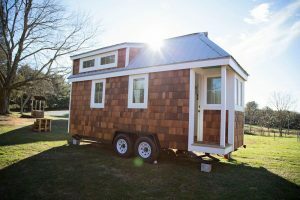 4 Cotton Burrow, Pecan, Peponi, American Pie, Green Bean, Boho House.